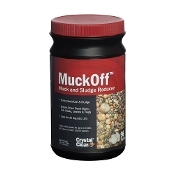 CrystalClear MuckOff tablets are designed to sink to the bottom of the pond to quickly reduce muck and sludge caused from dead algae, leaves and fish waster. 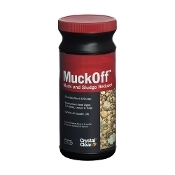 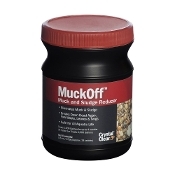 MuckOff easy-to-use tablets are a blend of natural bacteria and enzymes that help clear water by removing excess nutrients and reducing sediment. 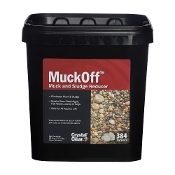 Use once every four weeks when water temperatures are above 50°F.